While all Indian cities are brimming with H&Ms, Forever 21s and Vero Modas, there is a parallel universe where indie designer houses have resolved to cull out artisanal crafts from the interiors of the country, blend them with contemporary designs and market them in a way that everyone benefits, and the craft gets preserved, reducing the risk of extinction. This is where the North East Project comes into the picture. Big designer houses, experts in their own field, have joined hands to work with the weavers from the eight north eastern states, and bring their designs to the urban user. North East Project is associated with big names – 1701 brings to the table accessories that include travel tags (INR 1,250), travel pouches starting at INR 3,250, wallets and passport cases (both INR 5,000). Bhane being what it is does, minimalistic clothing with Assamese Mishing tribe textile, starting at INR 1,700. Fizzy Goblet is on board too with their tribal weaved juttis for INR 2,100. And, Safomasi is using the Mishing weave in table mats (INR 1,350 for a set of four). Other brands that have joined this interesting project are Baroque, HK, Jarem, and NorBlack NorWhite who are seamlessly blending traditional threads into contemporary sensibilities, creating statement pieces that the urban folks would love to pick. 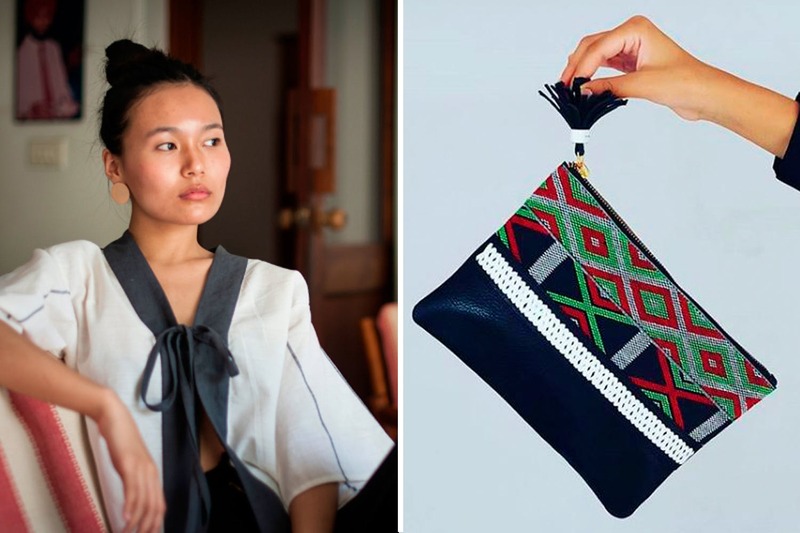 Stand out from the crowd with apparels, accessories, footwear, and home décor from the North East Project and do your bit to bring up their handicrafts. A win-win situation, isn’t it?